I have written before about why the genetic diversity present in contemporary and ancient Native Americans does not support this hypothesis (“Problematic science journalism: Native American ancestry and the Solutrean hypothesis”). Here, I want to discuss a new challenge to the Solutrean hypothesis that came out in the archaeological literature just today. One artifact critically important to linking the Clovis peoples with the Solutrean culture is known as the Cinmar point. A bifacially flaked stone blade (see image below), this point was reported to have been dredged from the bottom of the Atlantic continental shelf near Virginia, along with mastodon remains dated to ~22,760 years before present. If valid, this date means that the Cinmar blade is older than any other known tool in the Americas, and its presence on the east coast would seem to be very convincing evidence for an early occupation there, consistent with the idea that people might have migrated across the Atlantic before any peoples moved into North America from Beringia. But since the tool itself isn’t directly dated, its association with the dated mastodon material is critical to its legitimacy. And since it was dredged up from the ocean by a ship, rather than carefully excavated under strict, controlled conditions, there have been a number of criticisms that this stone tool might not have been associated with the mastodon bone at all. It could have just as easily been pulled up from a much more recent layer of soil. Anticipating these concerns, proponents of the Solutrean hypothesis have discussed the circumstances of the finding of the blade and mastodon remains in several places, including Lowrey’s 2009 dissertation, and Stanford and Bradley’s publications in 2012 and 2014. But an open-access paper out today in the Journal of Archaeological Science by Eren et al. ( “The Cinmar discovery and the proposed pre-Late Glacial Maximum occupation of North America”) issues a strong new challenge to this hypothesis by identifying some serious problems with the provenance of the Cinmar point. Taking note of the multiple accounts (Lowrey et al. 2009, Stanford and Bradley 2012, and Stanford et al. 2014) of the discovery of the Cinmar materials that differ slightly in their particulars, Eren and colleagues carefully investigated the Cinmar materials’ history through maritime registration records, newspaper accounts, and interviews. They uncovered numerous serious discrepancies in the published account of the Cinmar biface discovery, which I’ve summarized below. The Cinmar biface and associated mastodon remains were on display in the Gwynn’s Island museum since 1974 or 1976, with a written label giving an account of their discovery and significance. They were discovered in the museum by Lowery in the spring of 2008 (well after the first publications proposing the Solutrean hypothesis: Preston 1997, Stanford 1999, Stanford and Bradley 2000). Gwynn’s Island museum wasn’t founded until 1991. The museum’s website indicates that the Cinmar materials were loaned to the museum in 2002, 3 years after the Solutrean hypothesis was published. Prior to that, the Cinmar materials were in the possession of an artifact collector named Parker (a fact omitted from the Lowery 2009 and Stanford and Bradley 2012 accounts of the discovery). The site where the Cinmar finds were dredged is precisely known. There are no original nautical charts or logs currently known that show the location of the Cinmar finds. Its location must have been determined solely by a telephone interview with the captain, 40 years after the discovery. The captain died a month after the interview, so no further information can be obtained from him. The Cinmar was a wooden dredger built in the 1950s and smaller than modern dredgers, as illustrated in a photograph published by Stanford and Bradley (2014). Its small size means that it would have dredged only a small region, so that the association of the Cinmar blade and mastodon remains must have been very close. The Cinmar (more properly “Cin-Mar”) was constructed in 1963, and was one of the largest wooden-hulled vessels in the region. Its dimensions, engine power, and dredging capacities greatly exceed those provided by Stanford and Bradley. The photograph published by Stanford and Bradley may not be the Cin-Mar that discovered the biface and mastodon remains, and no other vessels named Cinmar were operating in the region. It is not clear where the photograph of a small vessel with the name “Cinmar” came from, or what boat it is actually depicting, and Stanford and Bradly refused to share the photograph with Eren et al. These discrepancies undermine the integrity of the purported association between the Cinmar biface and the mastodon remains, an association that is critical for accepting the Cinmar biface as legitimate evidence of a Solutrean occupation of the Atlantic coast. I think that it’s now essential that Lowery, Stanford, and Bradley address these discrepancies, and own up to any errors they may have published. This might seem like just an obscure academic quibble, but the idea that Europeans contributed to Native American prehistory, whether genetically or technologically, has wide-ranging political and social implications. White nationalists like it because it gives them “scientific” justification for asserting primacy and manifest destiny, and conspiracy theorists like it because they see it as another example of mainstream archaeologists suppressing “the truth” (see comments here). I am emphatically not equating Stanford, Bradley, etc. with those people, but it’s important to understand their ideas both in the context of history, as I discussed briefly at the beginning of the post, and the ways in which their ideas are being used by unsavory folks to advance particular social agendas. That’s not their fault, of course. But I do criticize them for making incorrect statements about an artifact key to their hypothesis. It’s worth noting that Stanford and Bradly have recently claimed that an additional twelve bifaces are “Solutrean”, and that those claims have been robustly challenged because of similar problems with lack of context and provenance, as well as the fact that similar bifaces are routinely found throughout the Eastern Seaboard in mid-Holocene times. Eren et al.’ s new paper and other recent studies raise significant questions about the evidence for the Solutrean hypothesis, and even the viability of that hypothesis, and illustrate that there is very little, if any, verified evidence for it. Lowery D. (2009) Geoarchaeological Investigations at Selected Coastal Archaeological Sites on the Delmarva Peninsula: The Long Term Interrelationship Between Climate, Geology, and Culture (Ph.D. dissertation) Department of Geology, University of Delaware. Stanford D. (1999). Alternative views on the peopling of the Americas. Paper Presented at the Clovis and Beyond Conference, Santa Fe, New Mexico. Stanford D., Bradley B. (2012). 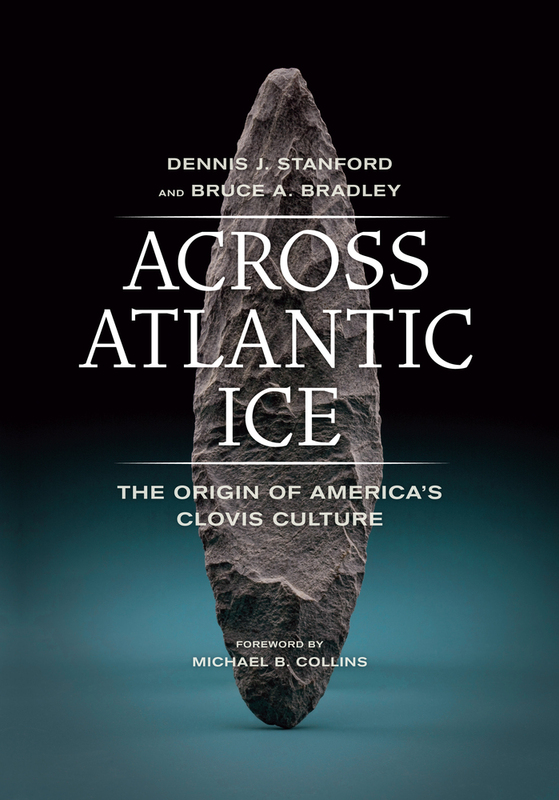 Across Atlantic Ice: The Origin of America’s Clovis Culture University of California Press, Berkeley. **Fun fact: Thomas Jefferson excavated a mound on his property in order to test this exact question, and was one of the first scholars to come to the conclusion that the people who built the mounds are the ancestors of contemporary Native Americans. lol Stanford went crying to oppenheimer for help after the beating he got from Rasmussen and Skoglund.I would like if you could address some of their points in that article they made especially from the supposed “R1” Y haplogroups which from all I have read(including Malhi’s paper) are of post columbian admixtures.There is a paper on ancient dna which I think you mentioned before that reveals this.As the ancient remains they tested are absent of that y haplotype and have the typical Q’s.Also small sampling bias might be the reason a lot of north east tribes have it which is no surprised to me.I have seen some of these eastern tribes and they look way more mixed than the southwestern tribes or south american andean tribes which is the natives I’m more familiar with. The latest trend I’ve seen on the web is a pathetic attempt of a “lost white tribe of siberia”.This time its the other side.I can send you some of the crazy blogs and youtube videos if you want.From my 7+ years of being exposed to this I’ve seen it all. All attempts to discredit native americans from their own history.This includes using other populations (i.e. ainu or polynesians) as proxies to put “whites” here first.Yes I’ve seen crazies with their ideas of “white” ainu and “white” polynesians on the net.It never stops and it’s been going on for years! Also if you read the comments on news articles that deals with native american origins you see this trend as well.The comments are nauseating.This stuff used to make me mad but I see that popular media is responsible for this disinformation.Promotion of pseudo history and pseudo science is rampant.The comments you see are a result of this.Then there are those individuals(like those bloggers and youtubers I mentioned) who somewhat know the material but misinterpret and distort the facts to push their agendas.Outright lying and misquoting text from authors in their original published papers. I’ve addressed Oppenheimer’s claims before, but I think that the next time I do so will be in a formal publication in an archaeology journal so it can go through peer review. Once that’s published, I’ll link to it here. Yes, you’ve hit on a very important and unsavory cultural movement. Trying to disconnect Native Americans from their own history is a very deliberate tactic used by white supremacists. And while it has no scientific basis, the movement eagerly seizes on fringe archaeology and pseudo archaeology (think: basically everything on the History Channel) to justify their claims. I listened to David Meltzer’s Quirks and Quarks podcast about the discrepancies of Standford’s claims. can’t find it anymore.Glad I saved it though. I’ll see if I can find it somewhere–I’d like to listen to it. I had never heard of the Solutrean hypothesis before reading your blog, and I’m surprised that this is even a thing. I really thought it was common knowledge that North American people are descended from Siberian/Asian people. Very interesting posts! It’s not a common thing, and I sometimes wonder if I’m giving it more attention than is warranted. But on the other hand, I do think it’s important for erroneous information to be called out. Thanks! I’m happy that someone remind us these kind of things in a proper way! Original posts, thank you. Well I haven’t reached the point A.D. has because I still get mad at nonsense and dissembling when it occurs. I remember years ago in an internship in family therapy where the problem of “the elephant in the living room” was addressed. That’s the one where nobody is talking about what is obvious to many, and it’s a hallmark of dysfunctional systems. In this case, we have the “mastodon tusk in the harbor” situation, and while I’d love to be proven wrong, I’m doubtful Stanford or Bradley will be forthcoming, and more denials will be the only result. We saw this with the Anzick Clovis Child where more assertions were offered of “evidence” when the scientific reality is that if there were Solutreans in this hemisphere, they left no descendants in spite of claims they taught their lithic technology to Paelo-Indians. Too, I trust everyone will read the link to the actual paper that points out the date for the mastodon tusk is 2,000 years earlier than any known appearance of the Solutreans in Europe. It’s also interesting that there’s a bit of obfuscation on identifying the Windover remains in Florida in the hype on Stanford and Bradley’s book; the DNA from those finds was eventually shown to be too degraded to be identifiable. This is some excellent stuff, Jennifer, but I trust you’ll keep up your martial arts skills, particularly the rhetorical ones. There may well be some fallout, and I speak from experience about personal attacks from folks who fight dirty. Be especially watchful of those who accuse you of the worst elements within themselves; such projection is apparently part of their thought processes when their agendas are threatened. One doesn’t need to be a scientist to see that occurring regularly on this country’s political landscape. Yeah, I wonder if there’s ANY kind of evidence that would make them change their minds about the SH. I could easily articulate what I would need to see in order to change MY mind on the issue: evidence of ancient European ancestry in securely dated Native American remains with no evidence of contamination. That’s not an unreasonable standard of evidence! But these guys seem to be starting with the conclusions and then contorting to fit facts to support them. With that approach, their idea is simply unfalsifiable. To remember if about Atlantida to exist, if possibility thus to assume can. Genome sequencing indicates Kennewick Man is Native American. Btw did you ever get my email about that crazy who manipulates admixture calculators? Patience! We’ll talk about this paper after the embargo is lifted later today. I’ll have a blog post out in a few days discussing this, so watch this blog! Instead, they say: “Although there is no definitive proof that the knife and the mastodon are part of the same archaeological assemblage, we contend that the clues from context in which they were deposited and the relatively undamaged condition of the knife overwhelmingly support their association” (Across Atlantic Ice, pp. 101-102). How “overwhelming” this support really is certainly merits debate (yet may prove undebatable because of uncertain provenance), but the association itself does not, because, as they admit, the association remains unproven. Why, I wonder, do Eren et al. treat the association as if Stanford and Bradley had declared it proven? Seems they wanted to make a case for proof by deception. Feels like whack-a-mole to me: don’t let the Solutrean hypothesizers up for air. Let’s not forget that Clovis Firsters sucked the air out of the room for almost 30 years. In retrospect, this dominance was hardly good for science. Firstly, I don’t think it’s “aggressive CSI treatment,” it’s simple fact checking—basic scientific method and scrutiny. In 2008, Stanford is clear (https://www.youtube.com/watch?v=pY01NjND1jc ; scrub to 1:07:00) that the mastodon remains are directly associated. Stanford and Bradley’s Across Atlantic Ice does indeed contain the equivocation that you quote; however, on the following page (p. 103) they state that the knife was used to butcher the mastodon with which it was dredged up, and that it was lost during the process of butchering. They make particular note that the 22k date on the mastodon is consistent with their reported dates from Miles Point (p. 183) which they assert is Solutrean in origin. If there is any doubt concerning the confidence with which Stanford and Bradley have in associating a 22,000+ 14C YBP date obtained from the mastodon with the biface itself, they reiterate in 2014 that these materials were “deposited together as part of a single archaeological assemblage” (Stanford et al. 2014: 87). And, just as p. 103 is entirely consistent with p. 102, so, too, is the 2014 article. Your quote, more fully quoted, is: “The interpretation is that, the skull and knife were deposited together as part of a single archaeological assemblage”. They’re interpreting, not declaring. Indeed, on the next page, they say: ” If the artifact is associated with the 2,760 RCYBP radiocarbon date, it would imply that humans were living on the LGM continental shelf of eastern North America at least 10,000 years before any other reliable radiocarbon dated archaeological sites. If it is not associated with the mastodon in the freshwater marsh, the biface would be no younger than the saltwater marsh formed at the onset of Meltwater Pulse 1A, making it at its youngest 2,000 years before the advent of Clovis, and is the oldest dated formal tool yet found in the Americas”. I concede there is a lot of suggesting, interpreting, and iffing going on here. I suppose one could conclude that the Solutrean Hypothesis just doesn’t have the goods. Such conclusions certainly have been drawn. But I don’t think Stanford and Bradley (and their camp) are yet concerned with this more advanced question (which sits somewhere on the continuum between ridiculous notion and settled science). Instead, I think they’re still trying to give life to the hypothesis itself. That is, they still need to sell the idea, and, so, are being appropriately tentative. as good science would demand. More worrisome to me about the SH’s viability are the doubts Eren et al. have raised about overshot flaking (http://www.smu.edu/~/media/Site/Dedman/Departments/Anthropology/MeltzerPDFs/Eren%20et%20al%202013%20JAS.ashx?la=en) and http://www.smu.edu/~/media/Site/Dedman/Departments/Anthropology/MeltzerPDFs/Eren%20et%20al%20%202014%20Lithic%20Technology.ashx?la=en). I’m bothered that Meltzer, whose writings I much enjoy, is among these doubters (indeed, he has even cast aspersions on the dating of sites Stanford and Bradley consider important). His upcoming book (http://www.amazon.com/The-Great-Paleolithic-War-Understanding/dp/022629322X) should be a real potboiler. Many poignant objections are raised by Bruce Bradley and Stephen Oppenheimer in their rebuttal. X is, in fact, more common in the Caucasus and the Middle East than in Western Europe. Regarding the absence of X in eastern Eurasia, the record of natural catastrophes, famines, and tribal warfare might still account for the typical absence of X (and, elsewhere, other mtDNA/allosomal DNA lineages) in that region.